The Northwest Museum of Arts & Culture, together with Exhibits Development Group, St. Paul, MN and Washington, D.C., and Event Marketing Services, Vienna, Austria, is proud to announce the planned arrival of the major traveling exhibition, Leonardo da Vinci: Man - Inventor - Genius. Including 60 invention models and 23 replicated artistic masterpieces, Leonardo da Vinci is an educational exhibition of unequaled fascination. Made to scale and produced by the Italian artisan family who has been building the inventions to da Vinci specifications for two centuries, the models of Man-Inventor-Genius include interactive inventions and machines from the four codices: flight, civil machines, hydraulics & engineering and military machines. The craftsmanship and beauty of the materials used by da Vinci are represented just as they were in the 15th century. LaunchPadINW, in partnership with Washington Trust Bank, Easter Washington University's MBA Program, SSYP and Leadership Spokane, has started an initiative to empower young professionals and students in the greater Spokane area by providing opportunities for personal and professional development, building local business relations and access to entrepreneurial resources. Join them today at 4:00 pm as they feature one of Spokane's outstanding professionals - Tyler Lafferty. Tyler is one of the principals and founders of Seven2 And 14Four, two digital agencies that create websites, social media applications, casual games, online ad campaigns and iPhone/iPad applications for some of the largest brands in the world including: AT&T, Microsoft, Honda, Netflix, Nickelodeon, Bravo, MTV, Disney and more. The event will take place at LaunchPad's Training and Coworking Center, 120 N. Stevens, and will be free to those who attend. For more information go to launchpadinw.com. Vintage Spokane coming this Sunday! 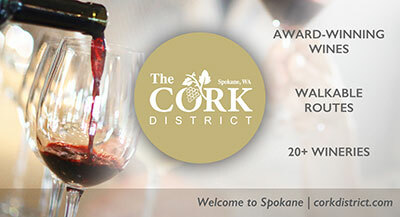 Spokane's largest wine tasting, Vintage Spokane: A Food and Wine Affair, comes to the Lincoln Center this Sunday, June 5 from 4 to 7:30pm. More than 50 wineries and delicious bites from the area's best restaurants will be offering samples. Tickets are $60. A portion of the event proceeds will benefit the Hospice of Spokane. The Lincoln Center is located at 1316 N Lincoln St in downtown Spokane. 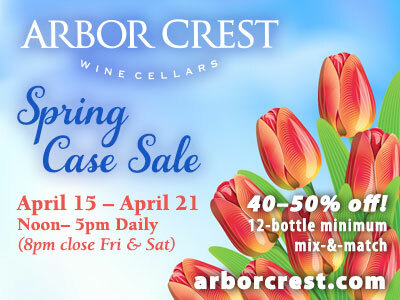 For ticket and other detailed information, including a list of participating wineries and restaurants, visit vintagespokane.com. With the season less than three weeks away, the Spokane Indians announced today that individual game tickets will go on sale Wednesday, June 1st. The Indians play 38 home games, beginning on June 17th and ending on September 3rd, as they look to defend their NWL Eastern Division Title. Individual game tickets will be available for purchase at the Indians Ticket Office located at Avista Stadium, 602 North Havana St, or by calling 509-343-OTTO (6886) with a Visa, Mastercard, or American Express. The office is open Monday through Friday, 9am to 5pm. Tickets can also be purchased at any TicketsWest outlet or by calling 1-800-325-SEAT during regular business hours. Additionally, fans can buy tickets anytime by visiting ticketswest.com or spokaneindians.com. Advance purchases of Upper Box seats are available for only $10, while Reserved Bench seats are $6 for adults and $5 for children 12 and under, seniors, and military members with valid ID. Upper Box seats paid for on the day of the game will be $11. To find out more about full season ticket packages and to view the 2011 promotional calendar, please visit spokaneindians.com. Parking will be free at all Spokane Indians home games. The Spokane Indians are the short season class "A" affiliate for the Texas Rangers. The Indians open the 2011 season on Friday, June 17th against the Salem-Keizer Volcanoes with Opening Night Fireworks and AAA Magnet Schedule Giveaway presented by Les Schwab Tires, KREM 2-TV, 93.7 The Cat, and SportsRadio 1510 KGA at Avista Stadium. For more information, contact the Spokane Indians ticket office at 509-343-OTTO (6886) or spokaneindians.com. Around 500 houses for sale in the Spokane area will be included in this year's Nationwide Open House, this Saturday & Sunday, June 4-5. Visit SpokaneOpen.com for a complete list of all local houses participating in the Nationwide Open House. The event started as a state-wide open house here in Washington in 2009. The Spokane Association of REALTORS was a key partner in that first statewide open house weekend. The event was so successful, the National Association of REALTORS got behind the event in 2010 and the event was branded the Nationwide Open House. This year, every state will be participating. Around 7,000 open houses are expected to be included across Washington for this event; around 100,000 houses are expected to participate nationwide. This year, the Spokane Association of REALTORS is partnering with Lowe's Home Improvement Warehouse to offer a grand prize to everyone who registers at a participating open house (one entry per person, per house). Grand prize is an outdoor living package worth $1,000. The Third Annual "Upscale Sale", presented by The Spokane Symphony Associates and benefiting the Spokane Symphony Orchestra, is this Thursday through Saturday, June 2-4. Don't miss this great event with over 6000 sq.ft. of quality items, plus the largest collection of China in one Spokane location. This sale is being held at 1027 W. 3rd Ave., between Monroe & Madison Streets. There will be a special "Early Bird Sale" Thursday evening from 5-7:30pm, admission is just $5 a person. Free Admission during regular sale hours, Friday, June 3, 8am-5pm, and Saturday, June 4, 8am-3pm. In an effort to continue business to their shops during road construction along 2nd Avenue, the businesses of the SoDo Business District are working together to communicate with shoppers and guests. What's their message? "We are open during construction and parking is available along adjacent side streets." Maps have been created for the business district to identify routes to the stores and specials will be taking place all summer long to entice shoppers! Eclectic gifts, Serendipity, AneMonE, Finders Keepers, Laser Quest, Wild Walls, Vino, Taste Cafe, Marcella's Bridal, Lolo Boutique, Mr. Tux, Allied Fire & Security, Dutch Brothers, Sun People Dry Goods and more are all working together to keep the area vibrant during summer months! Last year the businesses along 2nd Avenue lost up to 75% of their revenue and in an effort to avoid that this year, they have teamed with local college students to create a marketing plan to communicate with shoppers. To date, the group organized a Mother's Day event, the creation of the maps for customers and the Facebook page. Efforts will continue throughout the summer to remind local shoppers to remember these shops this summer. For regular updates and information, visit and "like" the Spokane SoDo Business District Facebook page to be kept up to date on all the latest promotions and events. Last week the Spokane Home Builders Association (SHBA) inducted two long-time members into the "Home Builders Hall of Fame" at their annual Hall of Fame banquet held at the Davenport Hotel. Over 150 friends, family members, and building industry associates attended the event and participated in the tribute. River Park Square, downtown Spokane's destination shopping center, announced that it has hired Bekah Dunn as Social Media/Marketing Manager. With advertising and public relations experience for firms in Spokane and Las Vegas, Dunn is in charge of the center's social media efforts and online promotions. She will play a key role in assisting with community partnerships and general responsibilities in promoting River Park Square. "Bekah brings a remarkable breadth of experience in tackling the changing landscape of social media," said Elizabeth Mills, Marketing Director for River Park Square. "Her proven ability to determine a vision and direction makes her an ideal fit for our team." Dunn recently completed her MBA in International Management from Whitworth University, and holds a B.S. in Marketing from the University of Nevada, Las Vegas. She is a member of Spokane's MarCom Association and a Certified Tourism Ambassador for Spokane. Spokane MarCom's June meeting will feature one of MarCom's Brightest Spark Award winners, HollisterStier Allergy's Bee Aware Program. Marketing Communications Manager, Alison Marlin, will share the research, strategy, development, implementation and evaluation of this award winning program. The meeting is this Friday, June 3rd, from 7:30 to 9 am in the Herak Club Room at Gonzaga's McCarthey Athletic Center, 801 N. Cincinnati, and is open to the public. Visit www.SpokaneMarCom.com to pre-register and pay to reserve your seat. The meeting fee, which covers breakfast, is $5 for student members with RSVP and ID, $10 for student non-members with ID, $15 for members at the door, and $20 for non-members at the door. Don't miss this half day event on June 8th at the Mirabeau Park Hotel from 7:30 am to 1:30 pm presented by the Spokane Valley Chamber of Commerce. The theme is "Strength and Courage" with keynote speaker, Diane Holmstrom, President and CEO of World FXIQ. She will share insights about personal success from her 20+ year career in sales and marketing in the technology industry. She was a sales leader, bought two companies and turned them around, all while raising 4 children. She has currently started a new company that deals in foreign exchange trading and has much to offer in her talk entitled "Venturing Out". The morning will feature courageous women who have accomplished the unexpected, in the panel discussion, "Against All Odds". Panel participants will be: Mary Anne Ruddis, Exec. Director of the local chapter of the American Childhood Cancer Associaton, instrumental in forming parent support groups; Debi Hammel, Owner of Giggling Guest Childcare and area speaker for Donate Life, a Mom who became a highway safety activist; Kitara McClure, Multicultural Director, Spokane Community Colleges, creator of an award winining nonprofit for girls to fight gang activity; Valerie Fast Horse, Director of Information Technology, Coeur d'Alene Tribe, launched Rezkast, a $3.5 million dollar Broadband network. Two concurrent workshops will also be presented in the morning. Chris Armstrong, Exec. Director of Anna Ogden Hall will talk about trying new skills and exercising leadership though volunteering in "The Value of Volunteering". Dr. Krista Kubiak Crotty, an expert in eating disorders will speak on nutrition and wellness in "Good to Great". At noon there will be a luncheon, hosted by KXLY news anchor, Robyn Nance, where the highlight will be the presentation of the Sterling Savings Power Woman Award honoring a local woman in business. The announcement of the award winner will be made later this week. A lucky winner of the Grand Door Prize at the end of the Summit will receive a "Stay and Play" get-away package from the Coeur d'Alene Casino Resort. For more information and online registration, go to www.spokanevalleychamber.org.